The perfect winter soup. If you want to feel wholesome and full of goodness, just stirring up this big pot of yumminess is going to do wonders to take your mind in that direction, and the body will soon follow! Add whatever vegetables you like, I added some frozen lima beans to the mix, I did not have fennel so skipped that (but imagine it would be fantastic with it). Overall, use what you have on hand, this is a flexible recipe. It does taste superb and is very warming in the freezing cold new york weather right now. It is also great to have lots of left over soup in the fridge, as I think it tastes even better the next day. I also like to give my soup a bit of kick and add a little cayenne pepper to it while cooking. Don’t forget to sprinkle with some freshly grated Parmesan cheese, a splash of good olive oil and some pepper right in each bowl before serving. If using canned beans like me, skip this paragraph. 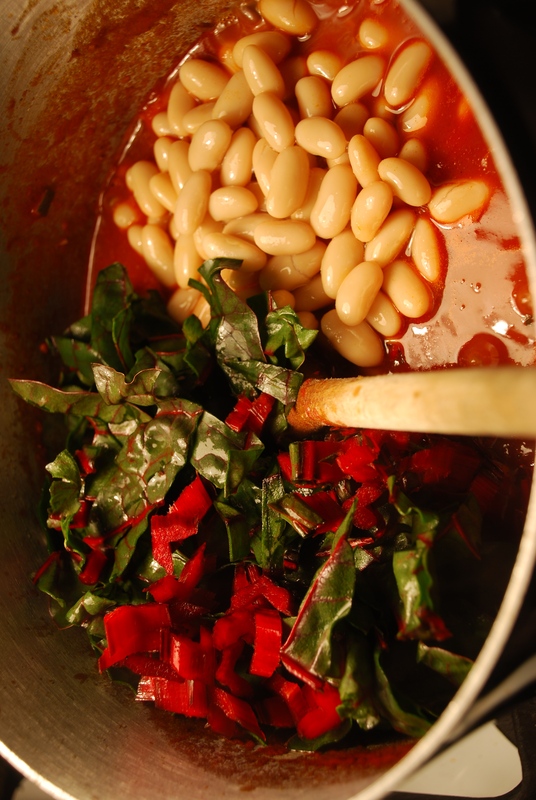 Add your fresh or dried and soaked beans to a pan of water with the bay leaf, squashed tomato and potato – this will help to flavour the beans and soften their skins. Cook until tender – check by tasting. They must be soft. Dried beans can take up to an hour, but check fresh ones after 25 minutes. 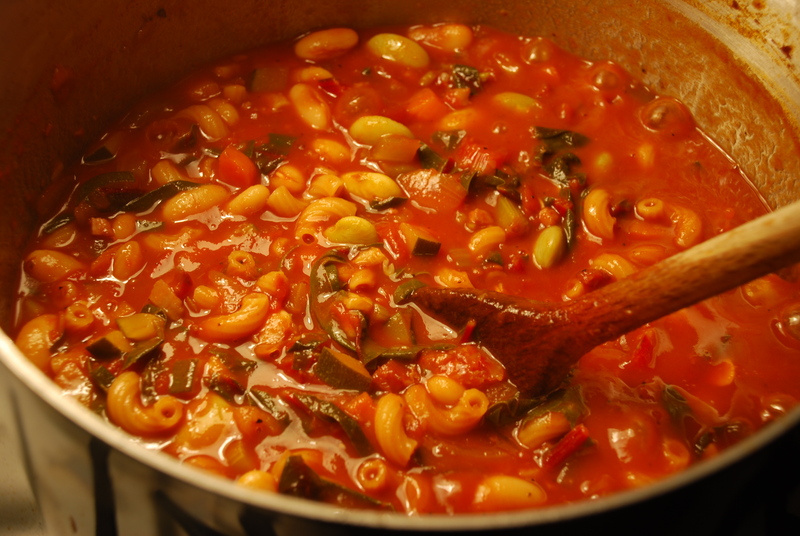 Drain (reserving about half a glass of the cooking water), and discard the bay leaf, tomato and potato. Now season with salt, pepper and a splash of oil. 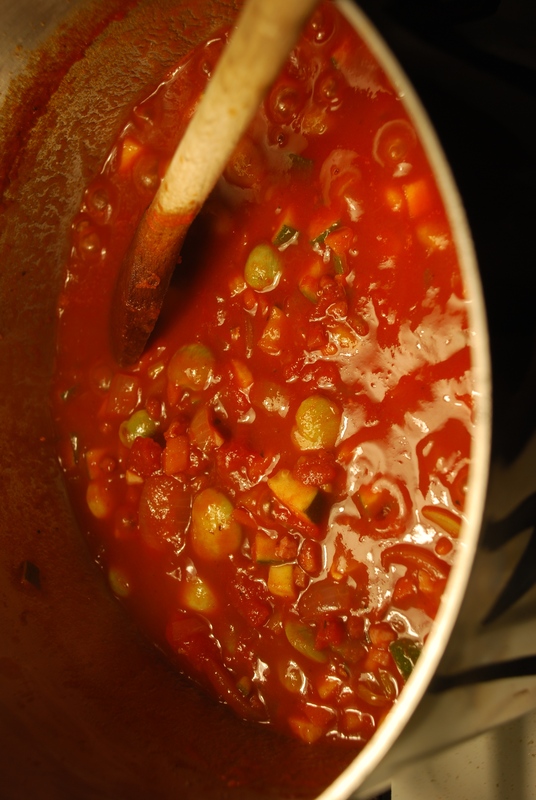 While the beans are cooking, make your soffrito. 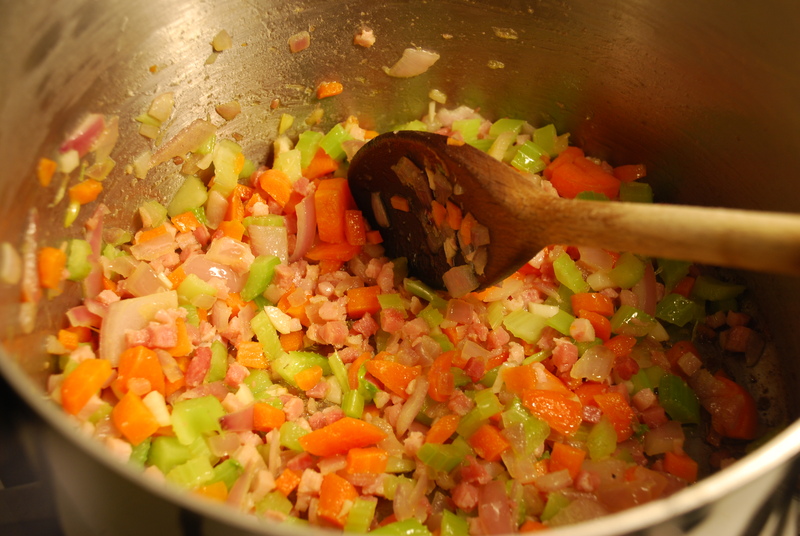 Heat a good splash of olive oil in a saucepan and add the chopped pancetta or bacon, onions, carrots, celery, fennel, garlic and the finely sliced basil stalks. 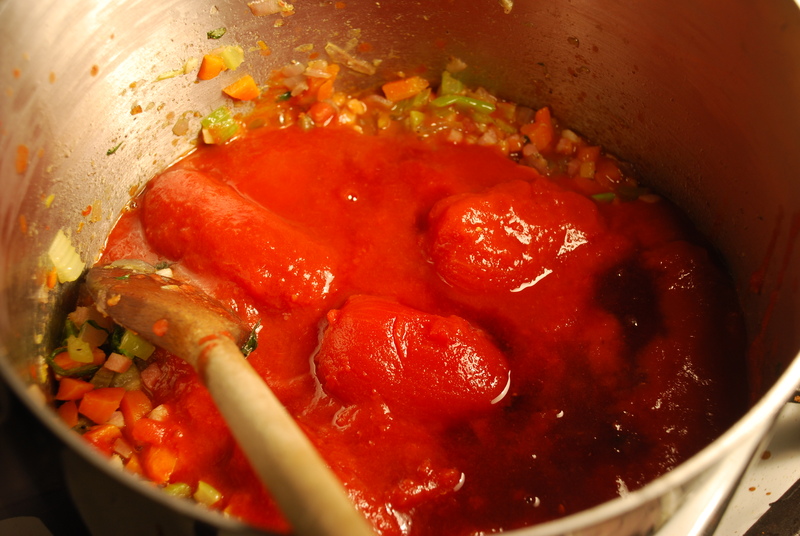 Sweat very slowly on a low heat, with the lid just ajar, for around 15 to 20 minutes until soft, but not brown. 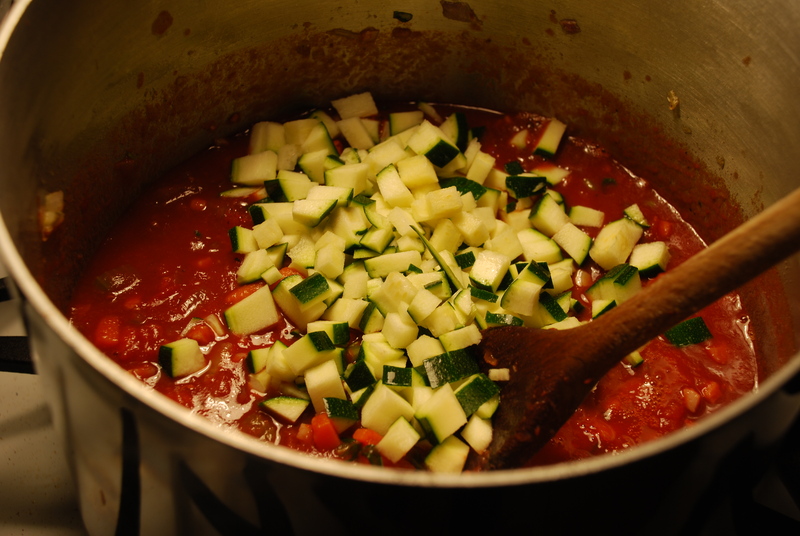 Add the tomatoes, courgettes and red wine and simmer gently for 15 minutes. 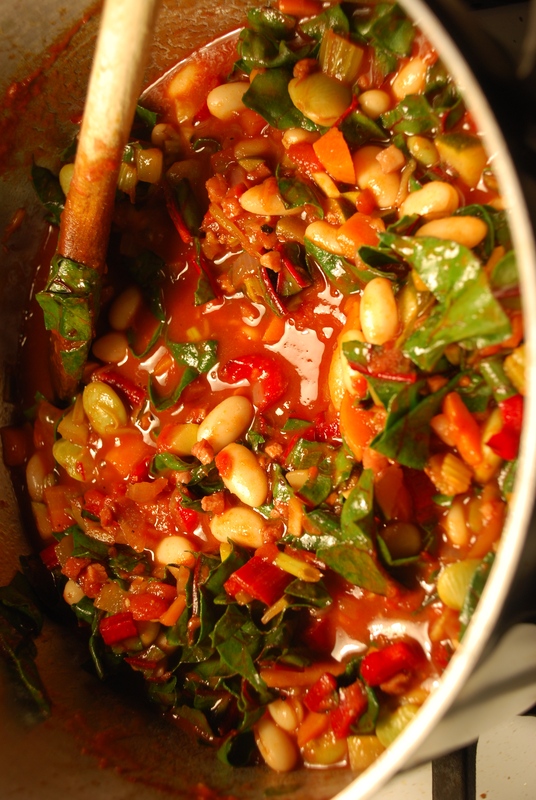 Now add the swiss chard or spinach, stock and beans. Put the dried pasta into a polythene bag, squeeze all the air out and tie the end up. Bash gently with a rolling pin to break the pasta into pieces. Snip the end off the bag and empty the contents into the soup. 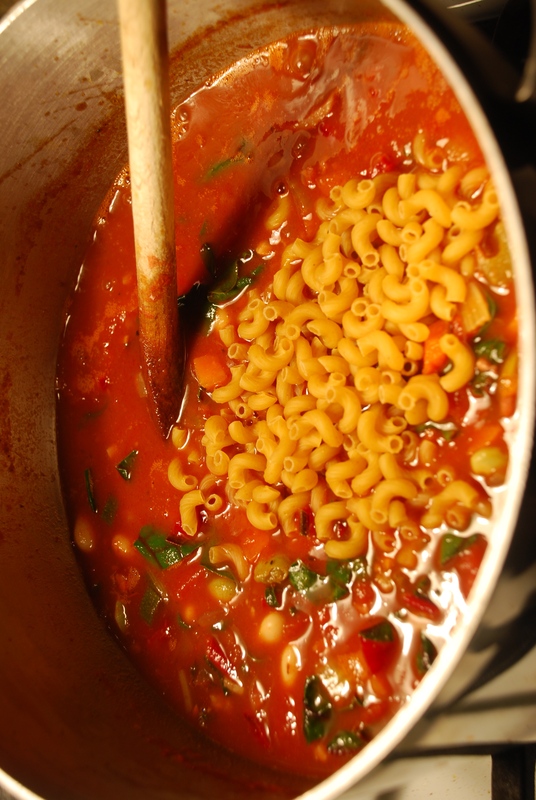 Stir and continue to simmer until the pasta is cooked. If you think the soup is looking too thick, add a little more stock or some of the reserved cooking water to thin it down a bit. Then taste and season with salt and pepper. Serve sprinkled with the torn-up basil leaves and with some extra virgin olive oil drizzled over the top. Put a block of Parmesan and a grater on the table for everyone to help themselves. Heaven!